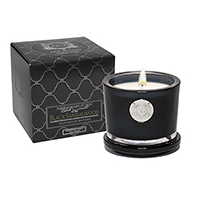 Aquiesse Black Sandalwood Small Candle is mesmerizing yet grounded. Bewitching blackberry. Luscious black fruit, geranium and wild lavender balance woody notes of fresh oak moss and earthy sandalwood.